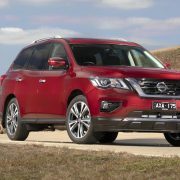 Released in the US some time ago, the brand-new 2019 Nissan Pathfinder has been recently announced in Australia as well. It comes with a new ST+ version and plenty of updates, which makes it extremely affordable for the average Australian driver. Prices start from $43,390 for the standard ST FWD and go up to $69,390 for the top of the line Ti 3WD 2.5L hybrid model. The mid-entry ST+AWD 3.5L V6 is also set at $48,090. You can find full prices released below by Auzzie magazine PerformanceDrive. 2019 Pathfinder Ti 3WD 2.5L hybrid: $69,390. As we can depict from the pricing list above, there are no less than four versions available for Australia, each one coming with its own variety of features. To start with the standard ST, this one is enhanced with the latest safety features, like AEB (Intelligent Emergency Braking), rear cross-traffic alert, adaptive cruise control or blind-spot monitoring. Type C USB power sockets have also been added. 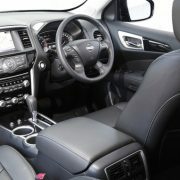 The newly introduced ST+ variant sits right under the standard version and comes with plenty of new gadgetries; there is the standard Nissan`s Around-View monitoring system with side-view cameras and Satellite-navigation, as well as the company`s new Moving Object Detection technology. Finally, the ST-L versions are easily distinguishable at the exterior thanks to the new LED headlights with auto-leveling function, while the top of the line Ti stands out from the crowd with new front and rear bumpers, new wheels, or the new Rear Door Alert system that provides better security for children inside the vehicle. 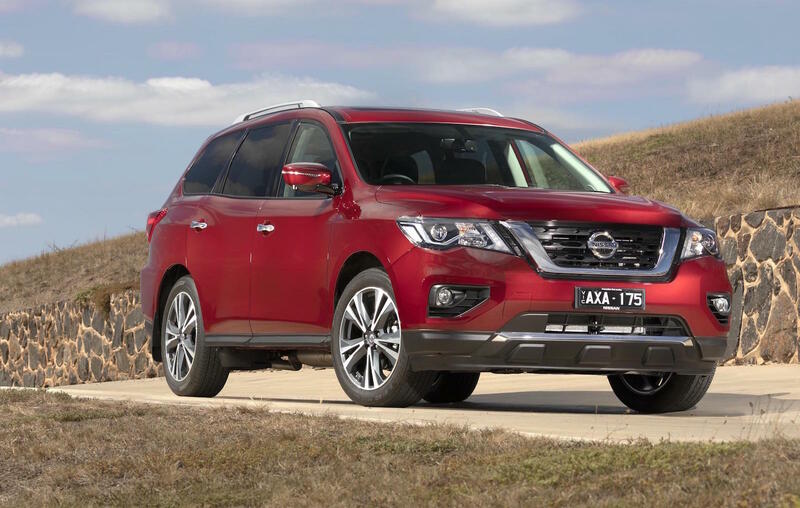 As for powertrains under the hood, the 2019 Nissan Pathfinder comes equipped in Australia with the same two engines from the previous generation. We are dealing here with a 3.5-liter petrol V6 pot, developing no less than 202 kW and 340 Nm of torque. The power is sent to all wheels via a CVT transmission and enables a 9.9Liter consumption per each 100 km. There is also a 2.5-liter petrol hybrid with 188kW and 330 Nm of torque, and a fuel consumption of 8.6L/100 km.